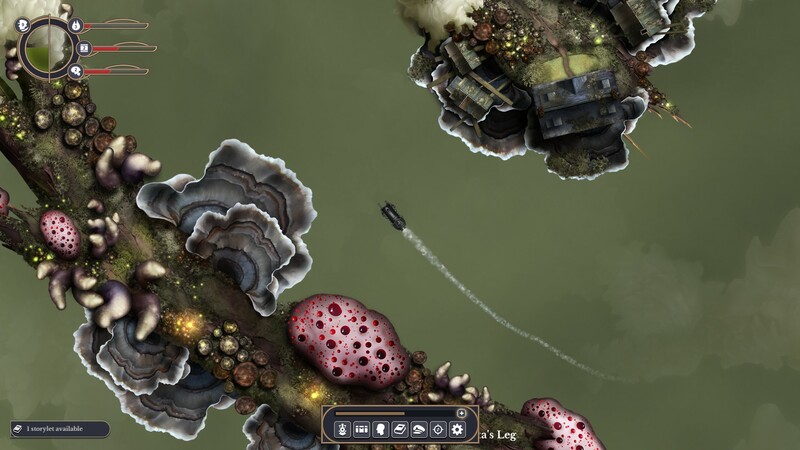 Sunless Skies is a computer game in the RPG genre, where you have to get into an unforgettable adventure, all of whose actions will take place in the airspace. You will take up the management of a rather interesting looking type of flying machine that works with steam. Take care of trade and supply, as well as try to improve your knowledge in the field of finance. The three of us have a huge world full of mysteries and useful items. Open all the secrets and find all the resources for the perfect passage to the end. Explore a huge quaint world where you will meet a lot of different characters that will somehow influence the course of action. Fighting will have quite a lot and often, so try as best you can to prepare for fabulous fights with crowds of rivals. 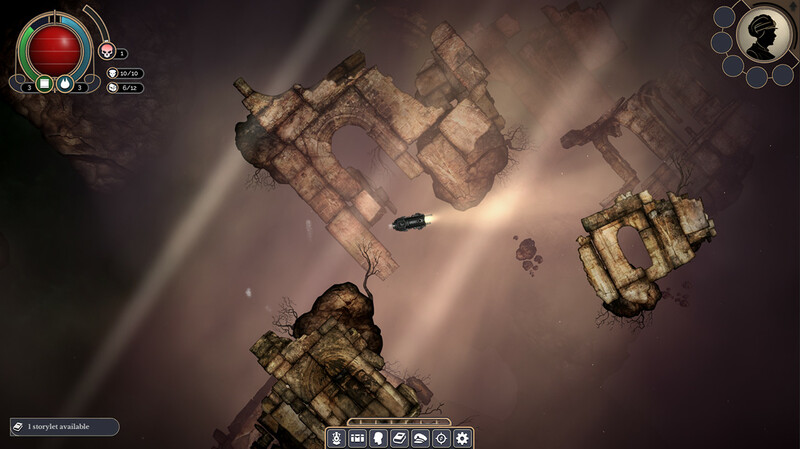 The atmosphere in the game is amazing, where you can safely plunge for a few hours. 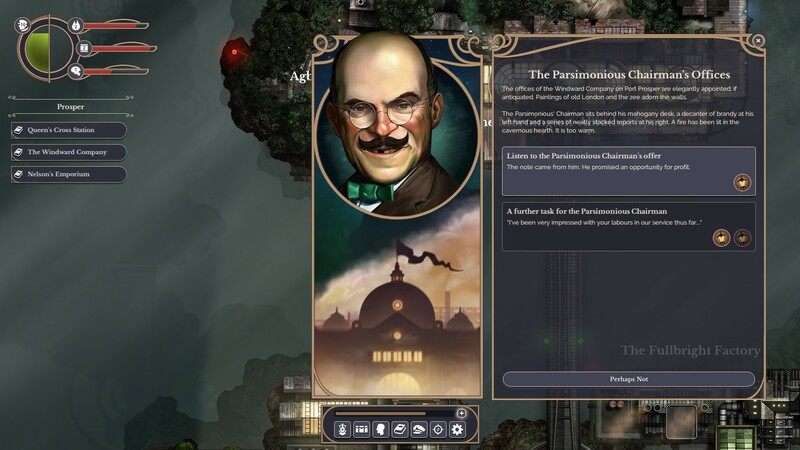 This game has been updated 9-04-2019, 14:26 to the latest version v1.2.1.2 Build 20190409 + Wayfarer. Captains who run out of Fuel will now immediately notice and have an opportunity to take action, instead of remaining oblivious for several in-game days. Must events at Brabazon and Polmear and Plenty's will no longer commingle surreally with shop inventories. Terror cues are now attached to the SFX slider and can be muted. The Ambient SFX volume no longer resets when launching the game. Weapons will now fire while the cursor is over the heat bar. Rockets and the Wrath of Heaven will no longer fire when clicking on HUD elements. Gamepad controls are no longer present on screen when first loading a save file. The bank interface will now update when equipping hold items. The performance of the storylet panel has been greatly improved, particularly when a lot of text has been logged. Quality requirement tooltips now display on the prospects. Pending prospects for which you no longer meet the hand-in requirements now correctly display the image for the cargo they require. Scroll arrows are now present on the character progression screen on 4K monitors. Tooltips are no longer cut off on 4K monitors. The number of Sovereigns displayed on the hold panel will now update immediately when items are bought or sold. A captain who successfully escapes Eaters of the Dead will no longer be endlessly haunted by the sound of their jaws. Agents that have just become hostile will no longer linger after death. Port tooltips will no longer stop the locomotive from moving once the chart is closed. Centre and side panel tooltips will no longer trigger when viewing the chart. Locomotive movement will no longer become locked when opening the chart while in motion. You can no longer interact with officers while the chart is open. It is no longer possible to get stuck on the legacy screen when scrolling through the details of your inheritance. Transferring items to the bank when you only have a single item in the hold now functions as intended.